Major companies around the world with a self-imposed deadline of ending tropical deforestation in their supply chains by 2020 won’t meet the target, a report released for International Forest Day says. 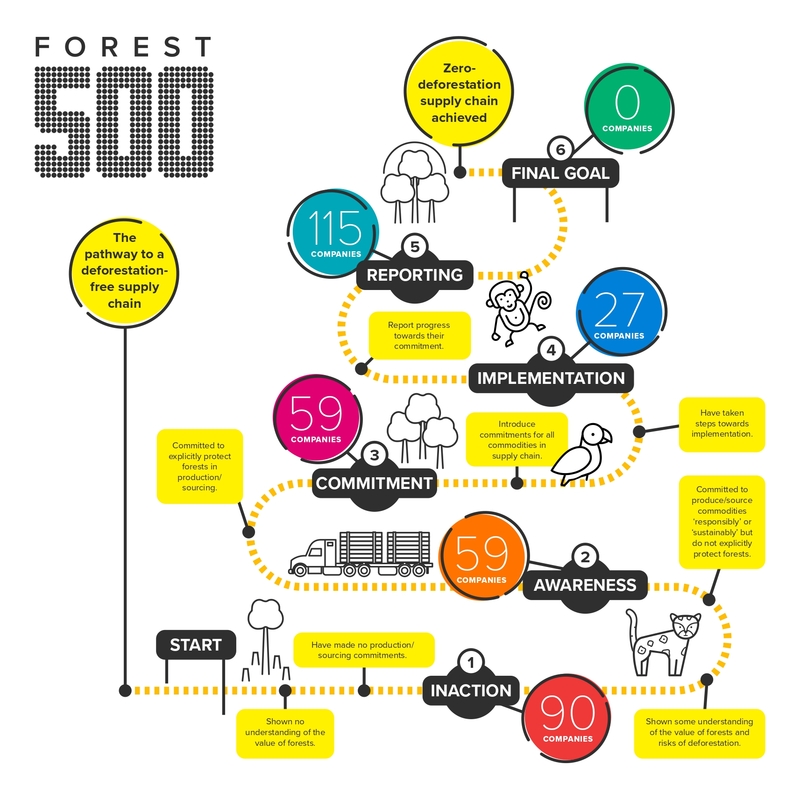 The “Forest 500” report is an annual assessment of the zero-deforestation commitments made by 350 companies involved in four commodities — cattle, palm oil, soy and timber — and the 150 financial institutions bankrolling them. Those commodities are responsible for the bulk of agricultural expansion in Latin America and Southeast Asia. Agricultural expansion, in turn, is responsible for most of the deforestation in these regions. 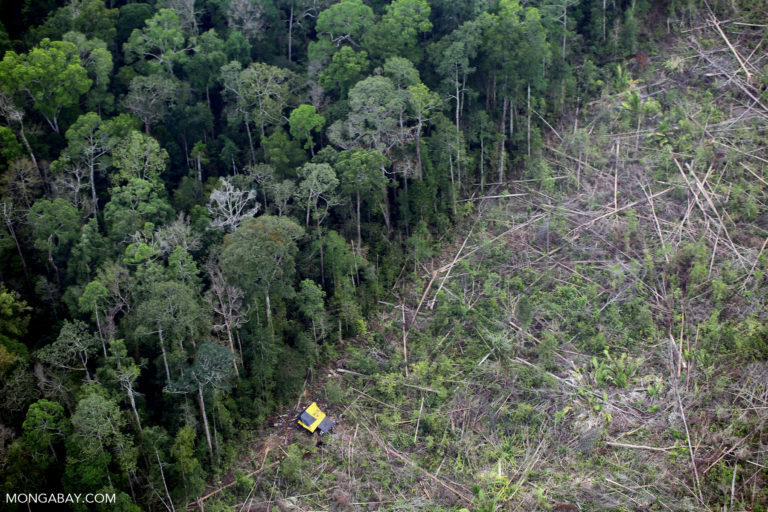 The report calls on the companies it assesses to do more to ensure their actions match their rhetoric on ending deforestation, regardless of the unlikelihood of meeting the 2020 deadline. JAKARTA — Major corporations that have committed to eradicating tropical deforestation from their operations by 2020 are not going to meet their self-imposed deadline, a report says. 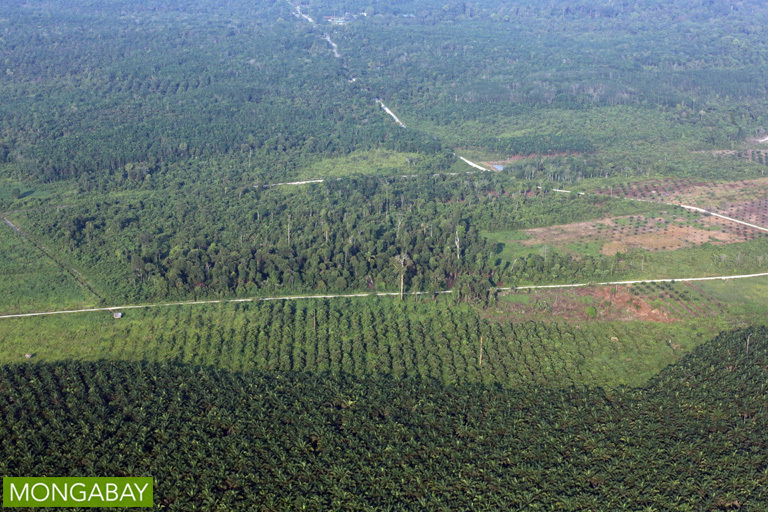 Forest fragmentation due to oil palm plantations in Indonesia. 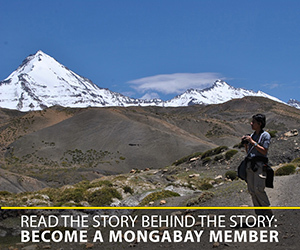 Photo by Rhett A. Butler for Mongabay. Banner image: The conversion of native vegetation to soy plantations is a leading cause of deforestation in the amazon and Cerrado. Image by Rhett A. Butler / Mongabay.